Q. Higher tables for tall people! Thank you for completing a ‘You said, we did’ card. I’m sorry to hear you have been finding the desks and tables in the Main Library to be too low. 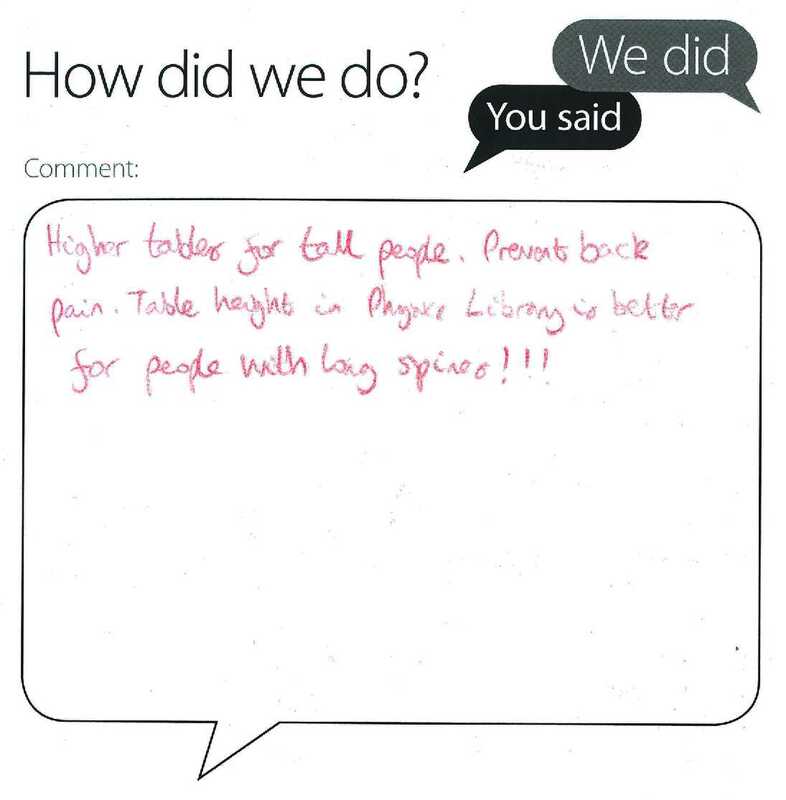 I don’t recall getting similar feedback recently but we’ll certainly have a look into this – we can begin by comparing the desk height in the JF Allen Library with the various configurations in the Main Library. Please do get back in touch if I can be of any other assistance.